② FOCUS: Recommended music, carefully selected by our editors. ③ TREND: Get up-to-the-minute insight on the latest musical trends that everyone is listening to. 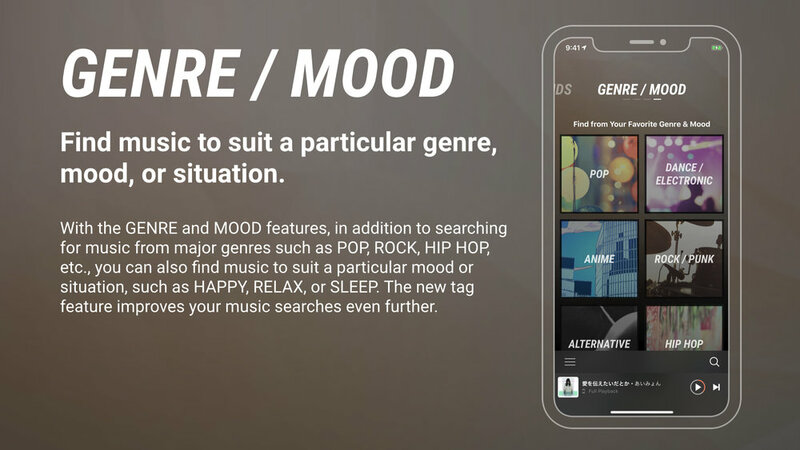 ④ GENRE / MOOD: Find music to suit a particular genre, mood, or situation. We analyze your past listening habits to deliver you a playlist of recommended tunes you haven’t heard lately. 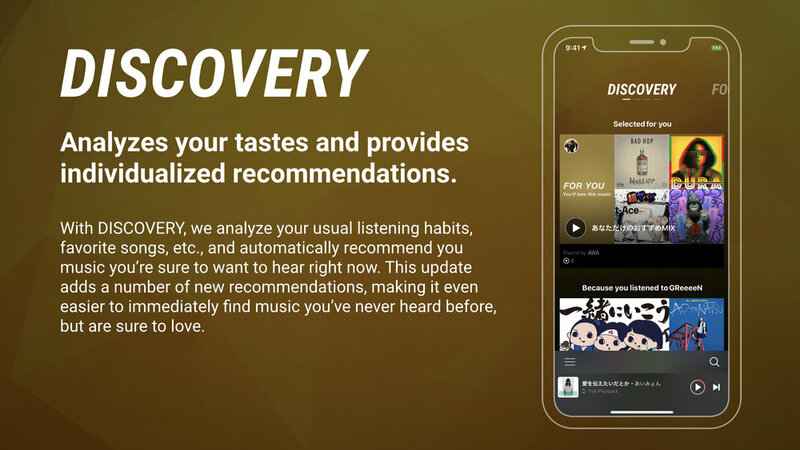 The more you use AWA, the more this playlist will update, helping you to discover new music on a daily basis. * This feature is being rolled out sequentially to a portion of users. You can now freely attach your own tags to your playlists! Rather than being limited to set words and phrases, you can tag playlists with familiar terms, expressing your own thoughts through tags. 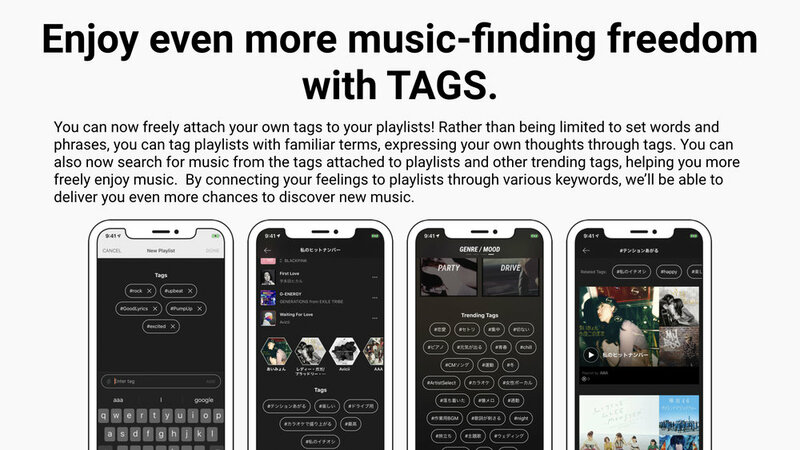 You can also now search for music from the tags attached to playlists and other trending tags, helping you more freely enjoy music. 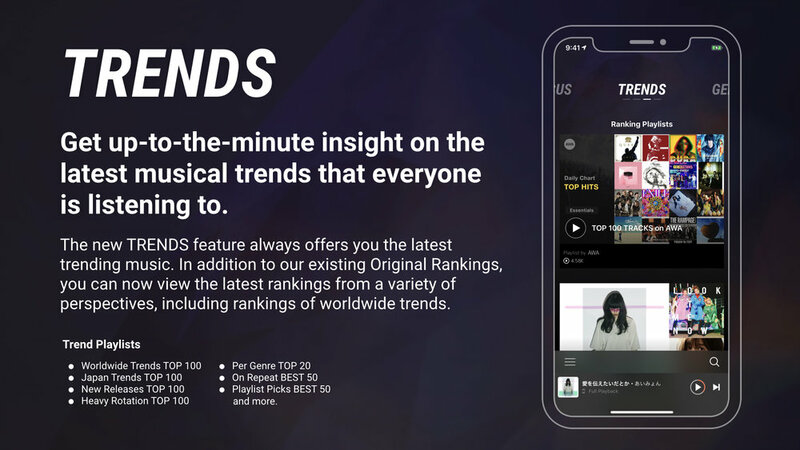 By connecting your feelings to playlists through various keywords, we’ll be able to deliver you even more chances to discover new music. We hope you’ll try the new AWA!